Recent events regarding John Swallow have prompted countless news stories and statements by public officials that the facts should have been known before the election. For me, it is a sad time, because the scandal has tarnished one of the great institutions in this and any state: the Office of Attorney General. I trust the investigations will be handled professionally and ethically, but regardless of the result, the Utah Attorney General&apos;s Office and the many able people who work there have been harmed. This is a good time for every Utah voter to be reminded that Swallow won the election for attorney general last November in a dramatic landslide. He received more than twice as many votes as his Democratic opponent, Dee W. Smith. Swallow, the Republican, received just shy of 65 percent of the vote, Smith 30 percent, and the Libertarian candidate, Andrew McCullough, received just over 5 percent. It was a drubbing, an election victory to be envied by any politician in any race, let alone for a high-profile statewide office of such importance. True, Utah voters didn&apos;t know the facts about the scandal; but what did they know? It&apos;s interesting to consider what information was available about the two major candidates. Smith was what any political adviser in any state would call a "dream candidate" for attorney general. He is a highly respected and accomplished lead prosecutor from one of Utah&apos;s most populous counties (Weber). In 2011 he was named Utah&apos;s County Attorney of the Year. In 2010 he was named Prosecutor of the Year by the Utah Gang Investigator Association. Smith was also known for his efforts in proactive and progressive crime fighting, attacking the social causes of crime, including addiction and poor mental health. Add to that an array of positives in the personal arena that could only help: Smith is an accomplished athlete, he and his wife have four adorable children and a long list of contributions to community and church (yes, the right one for Utah). Compare what was publicly known about Swallow. Besides his role as former Attorney General Mark Shurtleff&apos;s chief deputy, his professional experience as an attorney has been as an advocate and lobbyist for entities more associated with victimizing the public than protecting it. His advocacy on behalf of the wildly usurious payday-loan industry was no secret and was central to the current scandal. Swallow was also known as a highly successful fund-raiser for Republican political candidates and causes, a smart political operative who could move money to the right places. Such persons are highly valued in politics but hardly qualified to serve as the state&apos;s top law enforcement officer. It was no surprise that The Salt Lake Tribune endorsed Smith in an editorial with the subheading "This one isn&apos;t even close." So what could possibly explain Swallow&apos;s landslide victory? The sad truth is that Swallow had all he needed to win the hearts and minds of 65 percent of the voters who punched that ballot on Nov. 6. His name was next to the elephant. Nothing else mattered. Straight-ticket voting with consideration of precisely nothing beyond party affiliation, whether in Utah or in any other state, requires a willful ignorance of truths about candidates that are hugely important. In 1998, I made a public declaration that I had voted for the Republican candidate from my district for the House of Representatives (the beloved Afton Bradshaw, who died in 2006) every two years because she had earned my vote. No party has a monopoly on good people or good ideas. There was indeed a choice last November for attorney general. Too bad that the only thing most Utah voters cared about was voting red. Jan Graham is the last Democrat to be elected to statewide office in Utah. 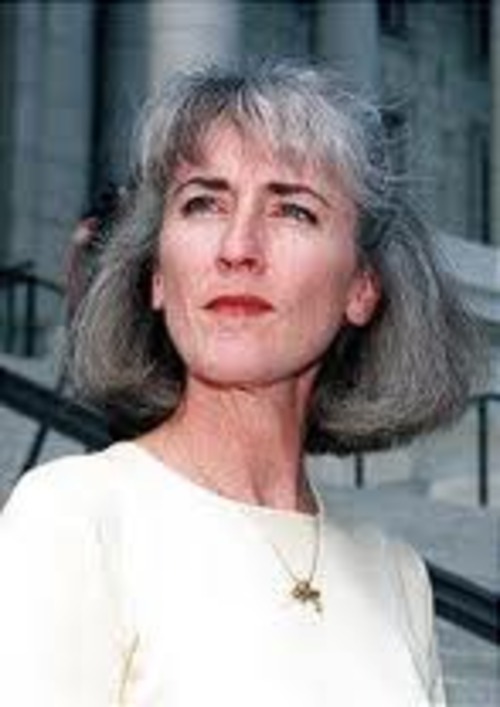 She served as Utah&apos;s attorney general for two terms (1992-2000) and chose not to run for a third term.